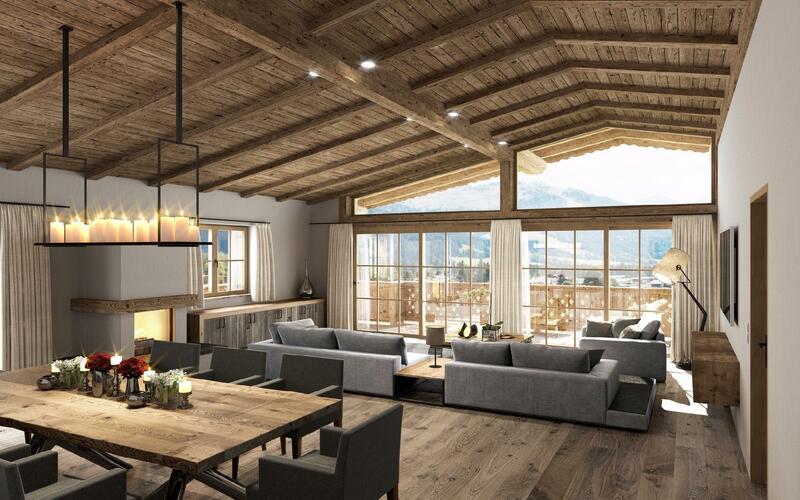 This chalet will be built in traditional Tyrolean style, in St. Ulrich, in a very idyllic location at the edge of a forest. The house will face to the southwest and the plot is located in an absolutely quiet and sunny location. 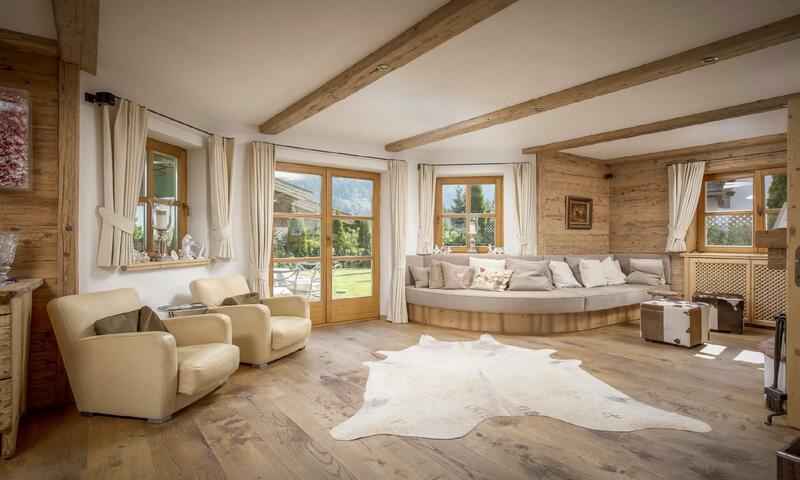 The location offers quick access to the ski area in St. Jakob or entry to the cross-country ski trails. The lake is also within walking distance. In the winter, St. Ulrich offers a wide range of recreational possibilities, such as skiing and cross-country skiing, as well as a wide range of recreational offers in the summer. The towns of Fieberbrunn and Waidring (Steinplatte) are 8 km away and the famous town of Kitzbühel can be reached in 25 minutes by car. Sankt Ulrich am Pillersee is a municipality in the Kitzbühel district, in midwestern Austria, and is located 16.4 kilometres (10.2 mi) northeast of Kitzbühel as well as 11 kilometres (6.8 mi) west of Sankt Johann in Tirol. St. Ulrich am Pillersee is located at the lakeside of idyllic Lake Pillersee in the heart of the Kitzbühel Alps. St. Ulrich am Pillersee is located in the north-east of Tyrol at the border of Salzburg and Bavaria in Germany. Already in the 10th century first Bavarians settled this area and in the 12th century Black Monks of the monastery of Rott am Inn. Named after Saint Ulrich, bishop of Augsburg, today this lovely little place is a popular holiday destination. By the way: in local dialect the village is also called “Nuarach”. Particularly popular is the natural bathing area Pillersee in summer as well as the 400 km of marked hiking paths snaking across the area from 700 m to 2,500 m asl. If you love great panoramic viewpoints we particularly recommend you the walkable viewpoint at the summit of the Steinplatte mountain. This viewpoint has got the form of a coral and has been established 70 m above the yawning abyss. Beside there is the “Triassic Parc Steinplatte” with its primeval times creatures and a miniature primordial ocean. Likewise popular for families is the “FamilyWorld PillerseeTal”. 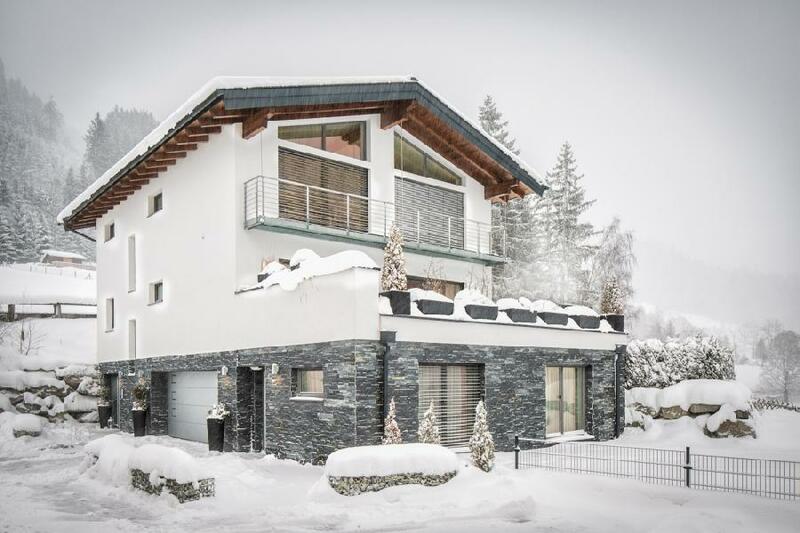 In winter you can choose from three skiing areas: the skiing areas Fieberbrunn and Waidring - Steinplatte, and the skiing area Buchensteinwand - Pillersee Tal located directly at St. Ulrich am Pillersee and featuring 22 km of ski slopes. With a few skiing areas more, these areas form the ski resort Schneewinkel, boasting 53 lift facilities and 158.5 km of ski slopes. However, there are also some 100 km of cross-country ski tracks and 100 km of winter hiking trails. And after a winter day outside, enjoy the pleasant warmth of the indoor swimming pool or the sauna! 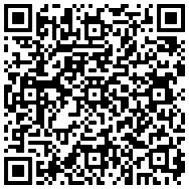 For details regarding the property AP-ZV-MO552, please complete the form below. We ensure you the highest level of data protection and absolute discretion with regard to your personal information.